The reason for this variation is that Easter always falls on the first Sunday after the first full moon following the spring equinox. So, in 2020, Easter will be celebrated on April 12, and on April 4 in 2021. It is important to point out that while the name “Easter” is used in the English-speaking world, many more cultures refer to it by terms best translated as “Passover” (for instance, “Pascha” in Greek) – a reference, indeed, to the Jewish festival of Passover. This is an updated version of a piece published on March 21, 2018. “When peace like a river attendeth my way, when sorrows like sea billows roll, whatever my lot, Thou hast taught me to say: ‘It is well, it is well with my soul.’” But …. what if it’s not? When I first got the idea for this article, I was in a place where I felt like everything in my life was being called into question. Where I belonged in the world, what I should do with my time, and how my future would pan out all felt like amateur self-exploration, lacking definitive, almost-thirty-year-old confidence. The voice of societal pressure to do more, work harder and be better is loud, but the little voice in my head that won’t let me deny my insecurities is even louder. Being Christian doesn’t equate to having it all together and being happy all the time — the scriptures forewarned that in this world I would face trouble and that long-suffering is a virtue. It never ceases to amaze me how it can feel like I’m on a long “winning streak” with God, then one or two things fall out of my desired order and my heart is immediately inclined to pull away from Him. Who do I think I am? I certainly couldn’t answer any of the questions God asked Job when Job felt prime enough in his suffering to question God. I do it anyway. We all do. We want our way. We have enough common sense to understand that God is not a genie in a bottle here to fulfill our every wish, yet we find ourselves shook when every prayer isn’t answered the way we want or as quickly as we’d like. We lift our hands and sing WE SURRENDER ALL to a sovereign God with the final say, yet we still keep a plan B in mind ever so discreetly. This walk of faith is exactly that–a walk. Along that walk, we might find some of the greatest joys and successes of our entire lives and have the opportunity to walk alongside gems of people. Some parts of the walk might be dark and cold, and we find ourselves dressed inappropriately for the weather. Some parts we’ll walk alone, and the soles of our shoes might give way to blistered toes scaling the earth. It’s in those times that I find myself in a funk. Here’s what I do to surrender the weight of what I’m carrying and genuinely leave it at His feet. Adopt a perspective of gratefulness. It is a privilege to work and earn a steady income. I GET to have a challenging job to practice diligence as unto God. I GET to juggle multiple responsibilities because I’m entrusted with those things. I have many freedoms in my life for which others still pray. This shift in perspective alone was enough in most cases to quiet my unrest. Affirm and encourage myself. At times, the root of our unrest is in what we believe about ourselves. Do my circumstances define me and my capabilities? Is my identity, worth, and value rooted in my 9-5? No to both. I am valuable because He says I am, and that settles it. There is so much love around me, and it has been a blessing to be molded and shaped by the beauty around me into who I am. I am more than capable, and in Christ, I am more than a conqueror. Be transparent with those I love and trust. Pride has a way of bulking up our chests while causing us to fall apart on the inside quietly. Sharing my experiences with trusted friends and family is a tremendously helpful way in knowing I do not carry my burdens alone, and making room for the listener’s advice, wisdom, and perspective on the situation. Make room for things I genuinely enjoy. Finding a healthy outlet is very helpful in renewing the mind. For me, that is writing and spending unfettered time with loved ones. For you, that might be playing an instrument, exercising, visiting a new place, etc. Keep praising. When I feel down, it sometimes feels like the last thing I want to do is muster up the energy to praise, but that’s often exactly what I need to do. Led by Hebrew 13:15, I offer unto God a sacrifice of praise. I might not have it all together, but He does, and He continually calls me to Himself, so I might find rest. When it is not well with my soul, my task is not to throw in the towel on my faith. It is to dust myself off and take hold of the Mighty Hand that will walk with me, wade through the waters with me, and carry (or pull) me along as necessary. That Mighty Hand promised He would never leave me nor forsake me, so I’m standing on that. He said He is faithful to complete the work He has started in me. I’ll believe it. He tells me suffering produces character, so I’ll write that on the tablet of my heart. I might kick and scream at times, but I will remain confident that my God will not withhold any good thing from me, and that He ultimately knows what is best. I’ll stay confident that I’ll continue to see His goodness while here on earth, and even after this earth is history. The fact that my home, where I truly belong, is an eternal place is evidence enough to proclaim that it is well with my soul, regardless of any earthly circumstance. Whatever my lot, thou hast taught me to say…. It is well, and it is well with my soul. Chriska is a twenty-something Haitian-American attorney with a passion for Jesus, traveling, writing, fashion, and spending quality time with loved ones. She holds a B.A. in Psychology from William Jewell College, and a Juris Doctorate from the University of Missouri (Kansas City) School of Law. Jimmy Jenkins and his brother, Joshua, stood in front of the crowd at a local AMC movie theater and admitted to being overwhelmed. 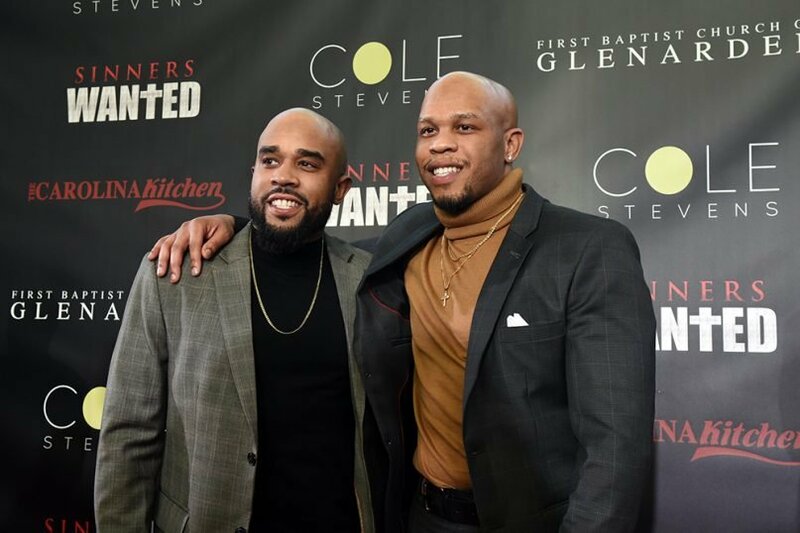 After showing their new movie, “Sinners Wanted,” for free the previous weekend at the black megachurch where their father preaches, on Friday (March 22) they were in a nearby theater filled with people who had paid for tickets to watch their first joint film project. Like at least two other brother filmmaker teams before them, the Jenkins siblings are hoping their independent film will continue to expand the depiction of biblically based stories on the big screen. They have chosen a particularly provocative storyline: A preacher named Leo Shepherd befriends, dates and marries a prostitute named Ginger “GiGi” Clementine. “It came from the book of Hosea — Hosea, Chapter 3, verse 1 — when God told Hosea to go love a prostitute to show Israel how much he loves her,” said Jimmy Jenkins, the younger of the two brothers, in an interview. Shepherd, the brand-new pastor, responds with a verse about God’s grace. “She can have a seat. It’s all right,” he says. The movie, which focuses on the need for forgiveness and on welcoming people frowning church elders considered undesirable, was presented last year at several film festivals, including the Pan African Film Festival in Los Angeles. 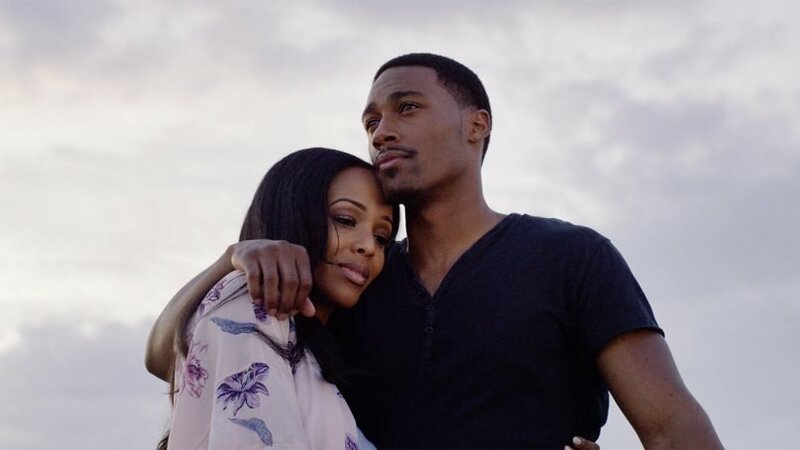 Jenkins, 28, a filmmaker since age 22, partnered with his older brother, the leader of the young adult and drama ministries at their father’s First Baptist Church of Glenarden, to present the film through their company Jenk Ink LLC. They follow others in the faith-related film business, including brothers Andrew and Jon Erwin, creators of “Woodlawn,” and Alex and Stephen Kendrick, whose movie “War Room” had the seventh-highest box office success for a Christian film. Jimmy Jenkins said he sought out the Kendrick brothers for advice last year and their discussion encouraged him. 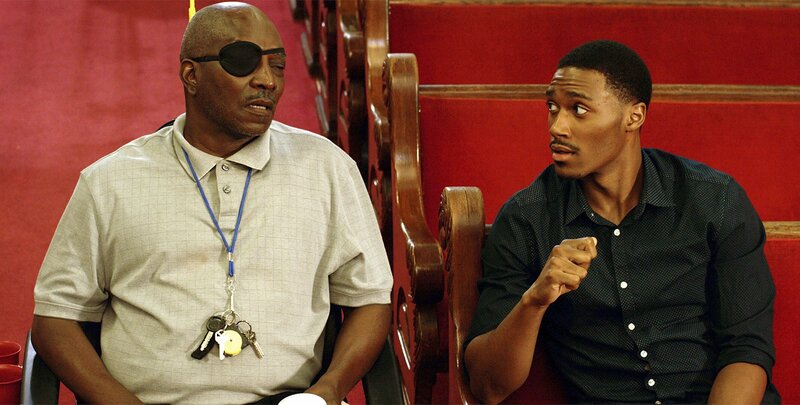 Some of the Kendricks’ earliest films were supported by volunteers from their Albany, Ga., church who provided most of the cast, crew and catering. 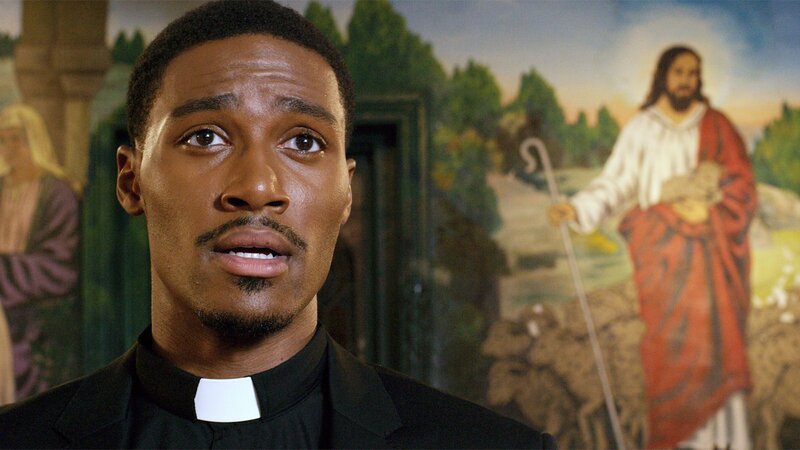 Similarly, the Jenkins brothers have relied on their church for support of their production, with many of the extras coming from their Maryland congregation. 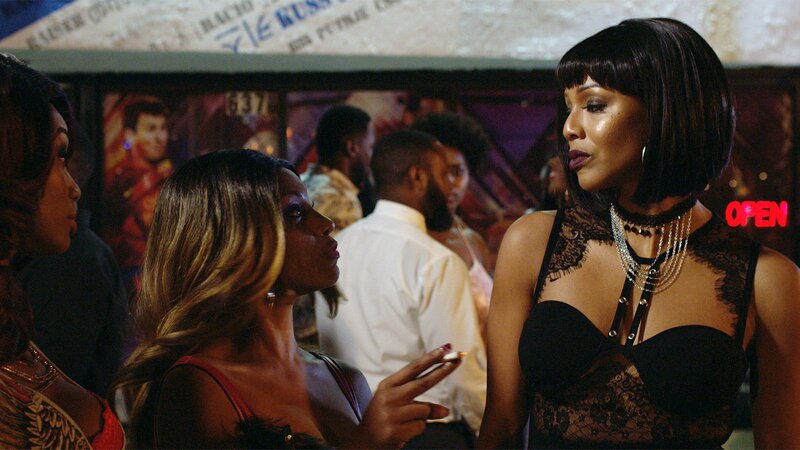 Their independent film, which has a six-figure budget, was shot in 16 days, with some scenes set in two neighboring Baptist churches in Washington, D.C. 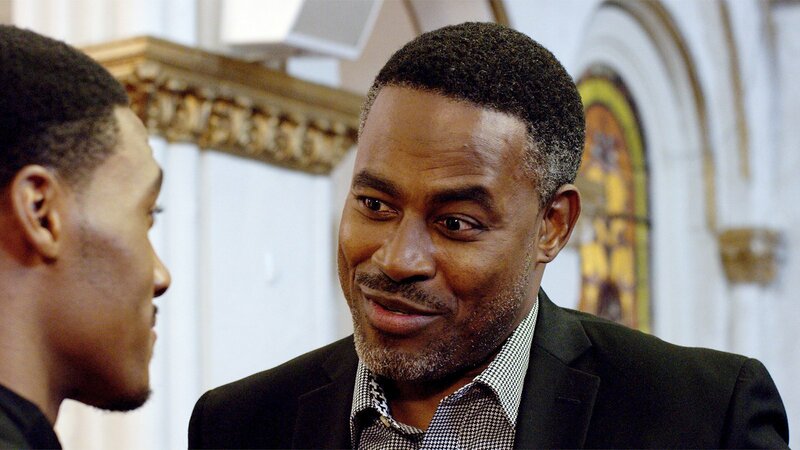 The directors coordinated around the schedules of their more well-known actors, including Lamman Rucker (of “Greenleaf,” an Oprah Winfrey Network drama about a family that runs a black megachurch) and Clifton Powell (of “Ray,” the 2004 movie about musician Ray Charles). After selling out at the movie theater, the film is set to screen again the last weekend in March. Jenkins said he’s hoping it will expand to other theaters and churches. Rucker, who played a church elder who declared that GiGi “doesn’t look like a Christian to me,” said in a panel discussion after the premiere that productions like these are “a labor of love” for actors like him. Powell, a Washington, D.C., native, added in the same discussion that their participation helps dispel a fallacy about African-American actors leaving their hometowns behind when they head to Hollywood. He added that — as has been the case for some Christian films picked up by major companies — movies don’t have to be produced in Hollywood to gain a following. So you’re intelligent. You’re a Christian. You love both of those aspects about yourself. It’s not enough for you to just get your praise on, you also get your study on. You read the Bible, but you also read widely on many other subjects. You are in college and you don’t dread your courseload, except that one class. That one science class. You imagine a professor opposed to anything that resembles religion or Christianity. You fear being embarrassed or ridiculed because of your faith. I’ve been there. Many of us who strive to represent our faith and use our minds for God’s glory have been there. For me, it was Anthropology 101. For others, it was physics or astronomy. As science explores the natural world, it is inevitable that questions about who created this natural world come up. The good thing is that science and your faith can co-exist. They are not polar opposites, and belief and love of one does not cancel out your belief in and love of the other. Albert Einstein categorized these two questions as questions of fact and questions of value. Although in many ways these two things overlap and play off of each other, I do not believe they cancel each other out. Science answers questions about what is observable and what we can quantify. In other words, it doesn’t seek to ask questions regarding the meaning of what we observe and quantify. Those things we believe in before we do any experiments or formulate our theories. We already enter the science lab or classroom with a bias toward belief or non-belief in a Creator. We already have a religious tradition we hold to or don’t. The answers of science bring these issues to the surface, but they can never give the final answer on these issues. What’s interesting is that the Christian faith helped aid the development of science. Galileo Galilei, who was sadly opposed by the medieval church, was a Christian and believed God had given us our mental faculties to explore the world. He believed “the same God who has endowed us with sense, reason, and intellect has not intended us to forgo their use.” It was this belief that prompted Galileo to explore the universe and confirm that the planets revolve around the sun. Then there’s the man that conquered the peanut and saved the whole South. A devout Christian man, George Washington Carver always found time to teach Sunday School to the students at Tuskegee University. His fervent work into the peanut was fueled by his belief of the outdoors being a “great cathedral in which God could be continuously spoken to and heard from.” Carver’s time in the “great cathedral” yielded over 300 uses for the peanut and 100 uses for the sweet potato, as well as numerous synthetic products like the dye still used in Crayola crayons. So what happens when scientific discoveries clash with your beliefs? Discoveries and theories in regards to evolution, cloning, and astronomy may seem to come into conflict with classical interpretations of the Bible. Augustine here is saying that instead of continuing to promote ignorance in matters of science, we need to be careful with making dogmatic assertions on things the Bible is not concerned about. The Bible contains science, but it is not a science book. The Bible’s main purpose is spelled out by Jesus in John 5:39: “You search the Scriptures because you think they give you eternal life. But the Scriptures point to me!” (NLT). The Bible is the history of God’s interaction with His people pointing to Jesus Christ. Its purpose is to lead you to Jesus and draw you closer to Him. It is not designed to give you a thorough explanation and summary of physics, biology, or astronomy. It is designed to give you one thing: knowledge and love for Jesus. When faith and science clash, we have to begin questioning our interpretation—not our faith. When we fail to do this, it only serves to cause those who don’t believe to mock and ignore us. For example: In Psalm 19, David talks about how the sun revolves around the earth. It rises from one end and completes its course at another end like a runner in a race. We know from science that it is actually the earth that revolves around the sun. interpretation is needed. David was not a scientist, but he was a poet or a psalmist. Psalm 19 is an example of Hebrew poetry, and we know poetry is never to be taken literally. So what can we say about David’s assertion that the sun revolves around the earth? That the psalm’s point is not to assert that the sun revolves around the earth. It was, instead, David’s way of being in awe of nature—something that scientists and Christians can both agree on. Science and faith are not opposites. They are just different ways of pursuing different types of knowledge. One deals with facts and the other deals with the meaning of those facts. They both are needed and can help in our pursuit of truth. So instead of dreading interacting with your professor or hanging out with your really smart friend, maybe you could engage them with humility and an openness to see where science and faith can connect instead of clash. It just might open up a new understanding and love for God for the both of you. President Donald Trump was just doing what he could to raise spirits when he signed Bibles at an Alabama church for survivors of a tornado outbreak, many religious leaders say, though some are offended and others say he could have handled it differently. A request for comment was left with the White House on Saturday, a day after Trump visited Alabama to survey the devastation and pay respects to tornado victims. The tornado carved a path of destruction nearly a mile wide, killing 23 people, including four children and a couple in their 80s, with 10 victims belonging to a single extended family. At the Providence Baptist Church in the Beauregard community in Alabama, the Rev. Rusty Sowell said, the president’s visit was uplifting and will help bring attention to a community that will need a long time to recover. Contributing to this report were Associated Press writers Bruce Schreiner in Louisville, Kentucky; Dave Kolpack in Fargo, North Dakota; and Michael Schneider in Orlando, Florida.